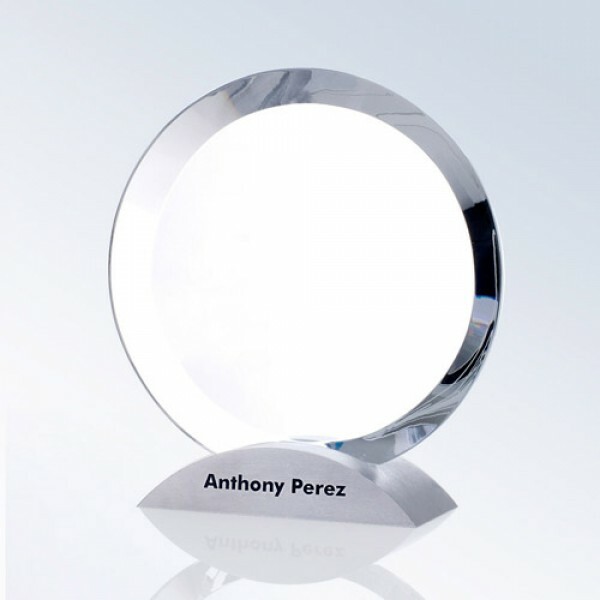 This award is a perfect recognition for any hard working employee at the beginning, middle, or end of their career. The thickness of top crystal is 3/4", a half moon aluminium base included unattached, suggested to use epoxy. H 7-1/2" x W 7"